The Festive Season should be a time for family, fun and unforgettable memories. So why weigh it all down with debt and over-spending that will inevitably start 2018 with the anxiety of empty cupboards and wallets? Easier said than done, you might argue. We want to buy gifts, take the family for a break and relax. How can you afford that when your wallet needs a break too? It will never be more tempting than it is now. The Festive Season is filled with the euphoria of buying and there is nothing worse for debt accumulation. The hard reality is this: If you can’t afford it, don’t borrow for it. Think of the interest, the fees and all that stress. Your future self will thank you! Instead, why not consider some cheaper alternatives or try your hand at some DIY gifts. Self-made treats like cakes, biscuits and dinners are some great gift alternatives. Remember, gifts don’t always have to come wrapped expensively but if you add your own creative flair, a simple gift can be special. At the end of the year, there are as many celebrations as days in a week. 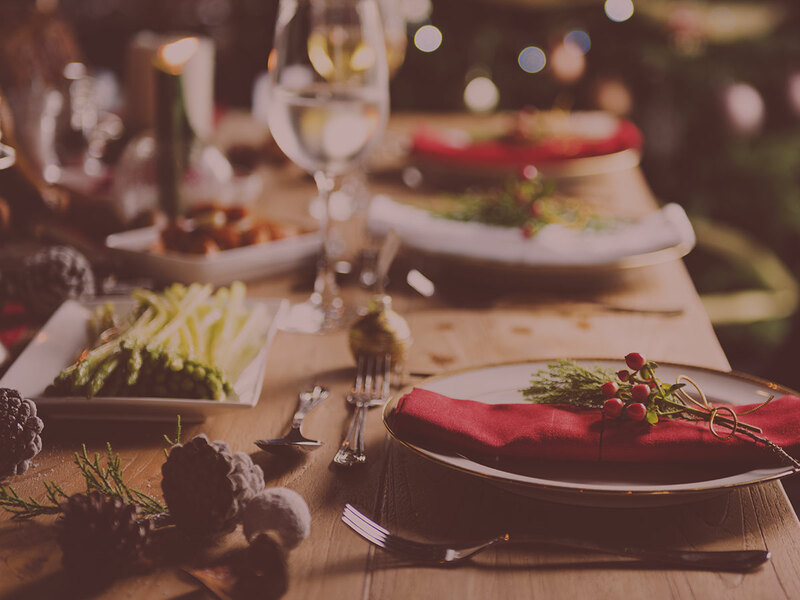 While it is tempting to invite loved ones for a lavish meal and spoiling them with gifts, it can lead you into the debt trap. As with credit cards, don’t borrow tomorrow’s happiness and spend it on today. Rather focus on the joys of being together and share the costs of food and entertainment more evenly by having picnics or traditional bring-and-braai’s. There is nothing cheaper and better (and more South African!). We know it all too well: The perfect money-saving deal, bargain bonanzas and never-to-be-repeated-offers all happen to come around at the end of the year or in January when the national spending and morale is at a low. Try this then. Walk away. While you may save 50% on a pair of shoes you don’t need, you’ll save 100% if you do not buy them at all. If you really want them, set yourself a 2018 budget and add them as a goal. Then, using financial discipline, work to a time frame until you can truly afford them. The most important bills come January 2018 might be the bills we want to see least, so, in true festive style, we push them aside until later. Well – don’t do that. Embrace them, and if you can, structure a mini-budget to get them paid before they bog you down. Many people are paid their salaries earlier in December. Instead of spending on the Festive Season and then paying bills, try to swap the two around. Pay the bills and spend what is left. This is especially true for school fees, which as we know is truly the best gift of all. With this simple adjustment, January will no longer seem to be the longest month of the year. There is no harm (and certainly no shame) teaching your children the value of money, especially over this money-mad season. It is best to be honest with your children if things are a bit tight financially. If they know and understand that, you can work together as a family to find alternatives ways to have together without overspending. Build hype around the things you can do to enhance their holiday. A day at the beach with a few snacks and drinks is certainly cheaper (and far more enjoyable) than a movie with all the trimmings. A new year means new possibilities – and financial resolutions should be as much a priority as the health-related ones. Indeed, refreshing your budget can help ease financial anxiety for the next year. This means that by the time the next Festive Season rolls around, your finances could be in much better shape. It is ideal to seek the help of a financial advisor to help put you on a path to financial success. Success: Now there’s a word for any Festive Season.